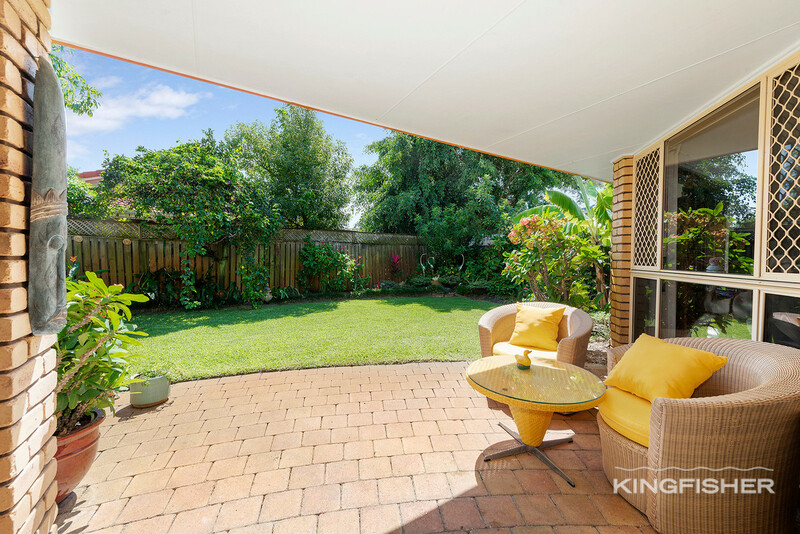 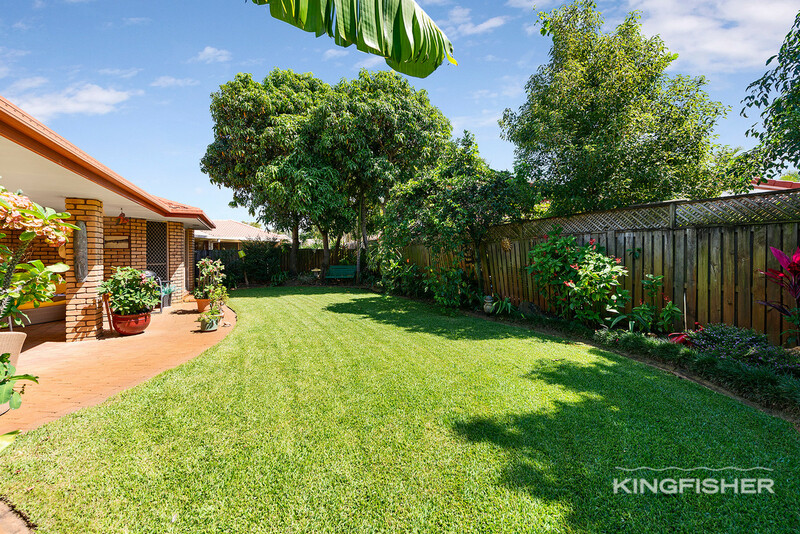 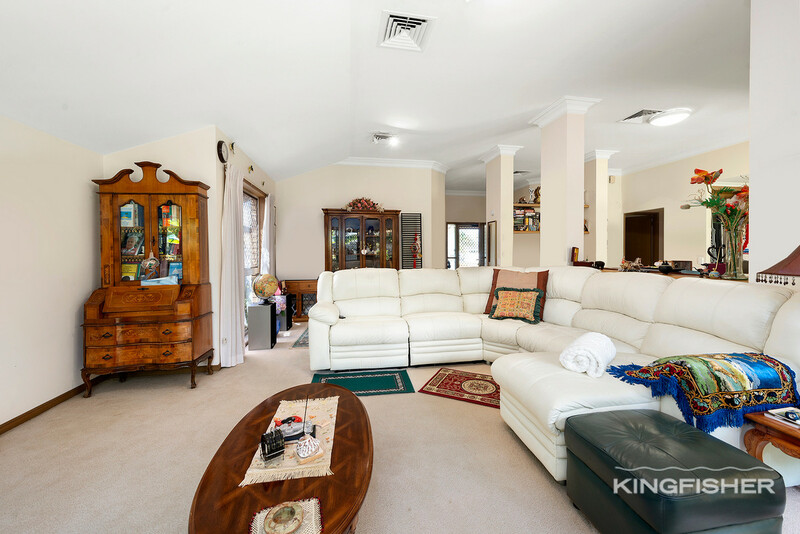 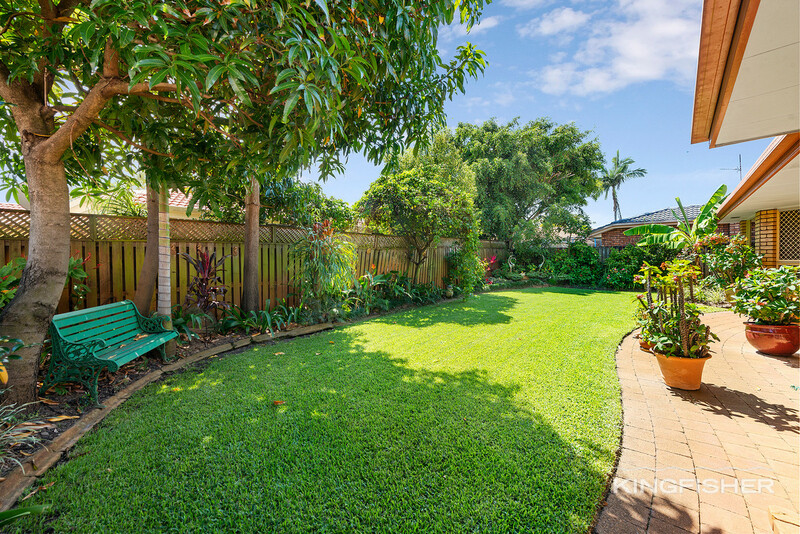 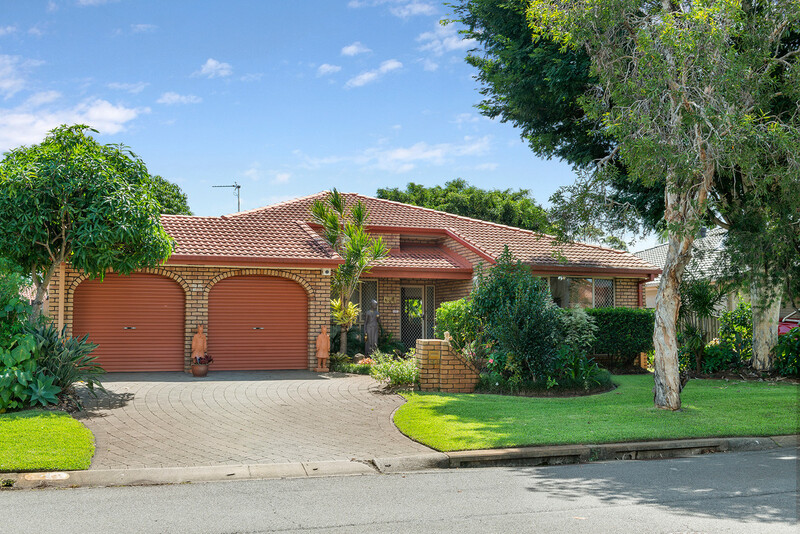 Set in the established Robina Quays, this immaculately kept, low maintenance home is sure to impress. 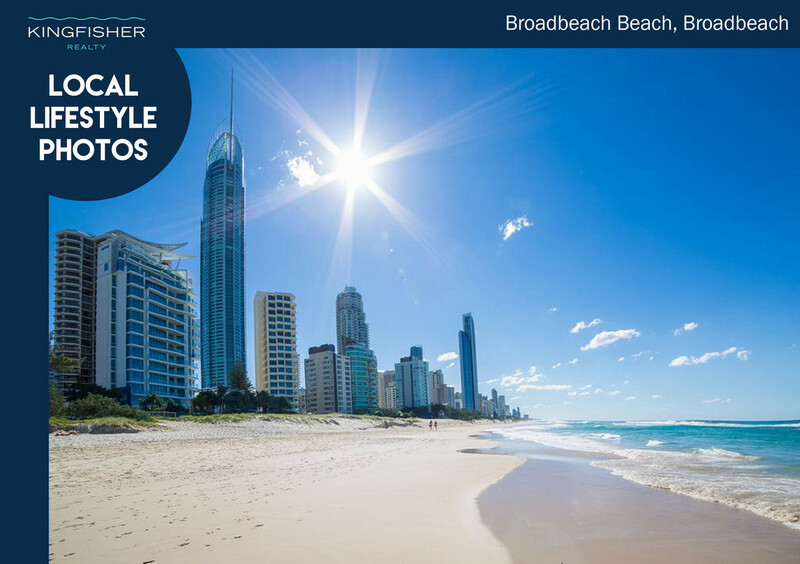 Perfectly positioned in a quiet estate, yet only minutes away from many Gold Coast hotspots – you will have the best of both worlds. 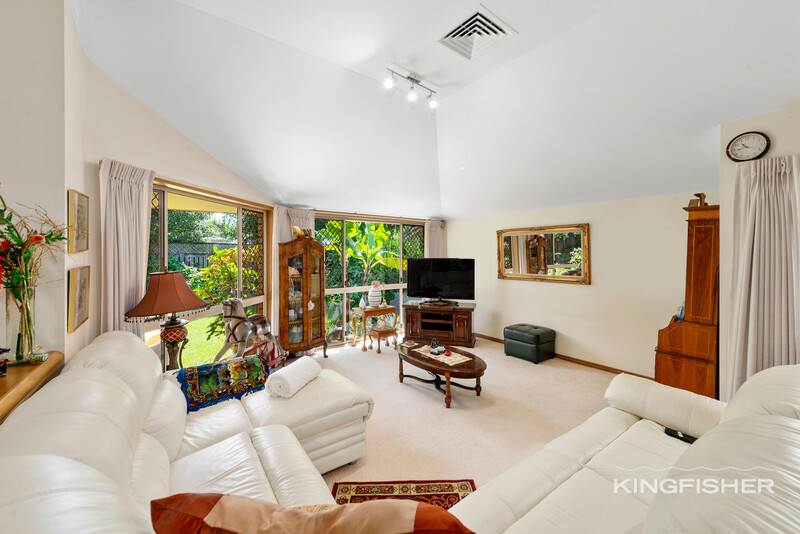 The soaring ceilings will immediately capture your attention as you enter the home. 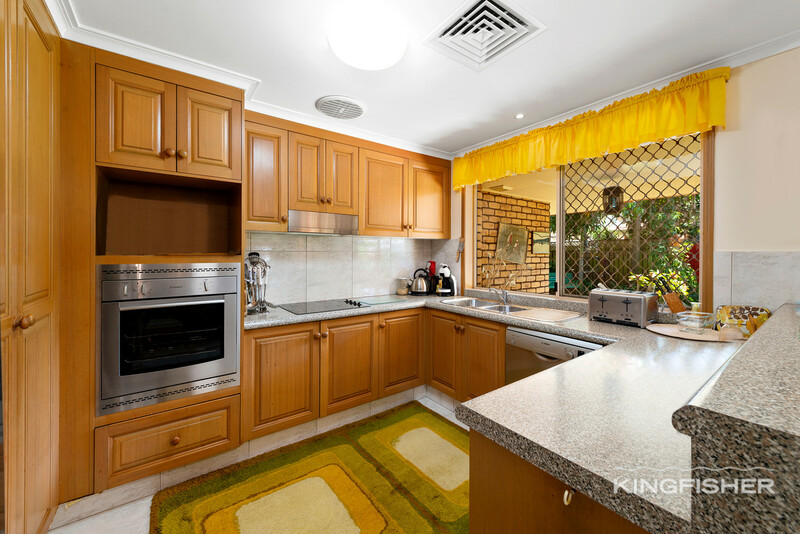 The spacious kitchen has ample storage and overlooks the large living and dining space leading you outside to the north facing, undercover alfresco area showcasing beautifully manicured gardens – equipped with 3 mature mango trees and a passionfruit vine. 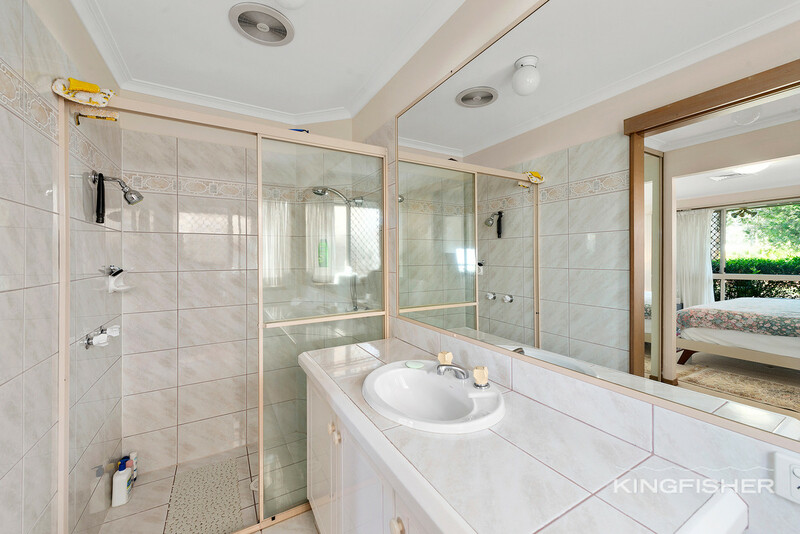 The floorplan was cleverly designed to ensure privacy for all. 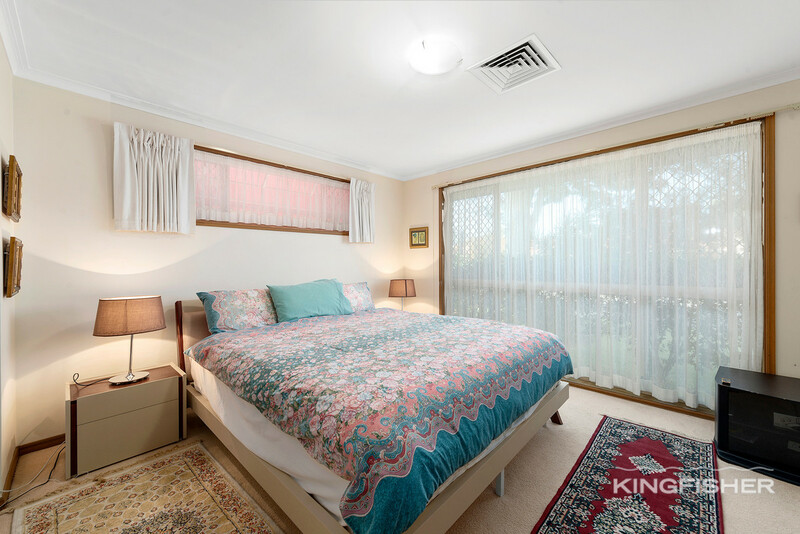 All 3, spacious bedrooms are positioned separately within the house. 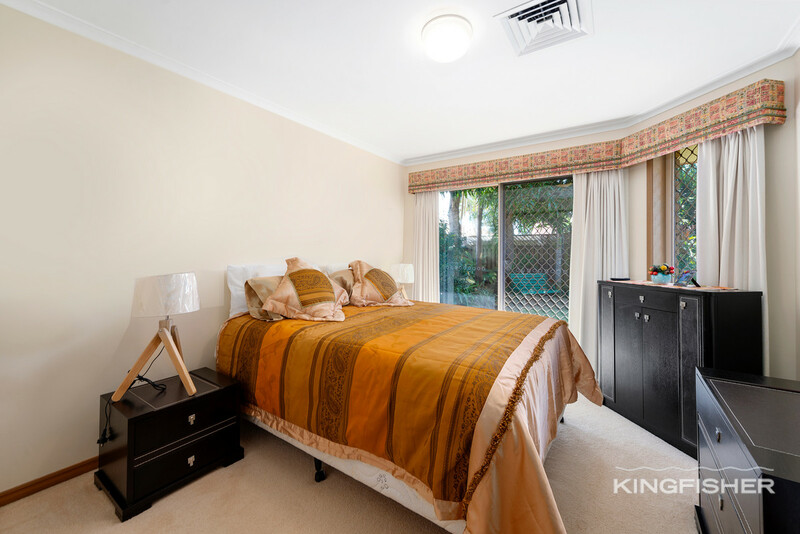 The master bedroom also features its own ensuite and walk through robe. 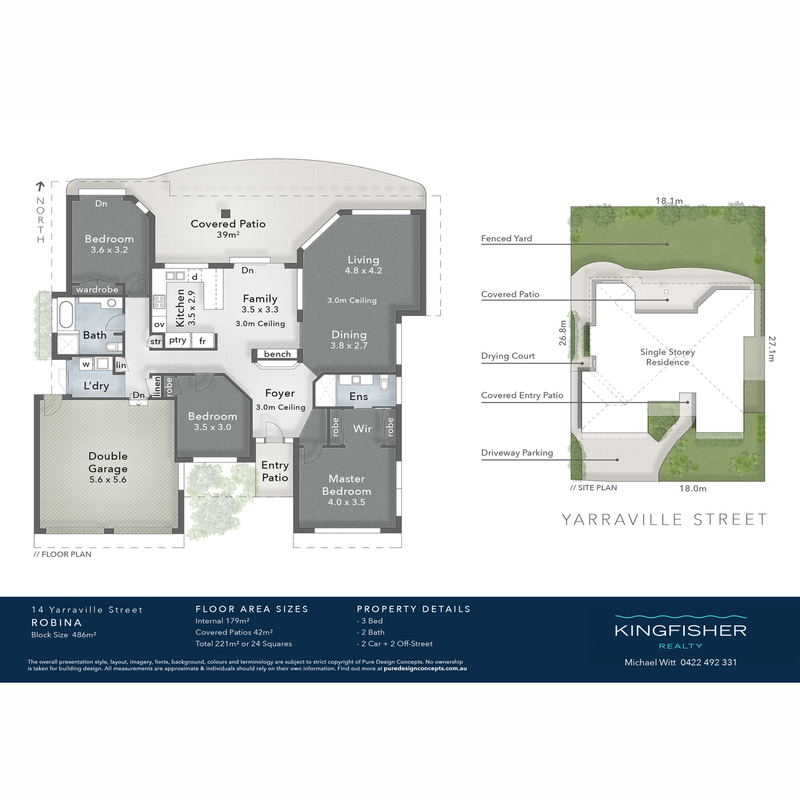 Whether you are looking for your first home, downsizing, or an astute investment, this fantastic property will appeal to all. 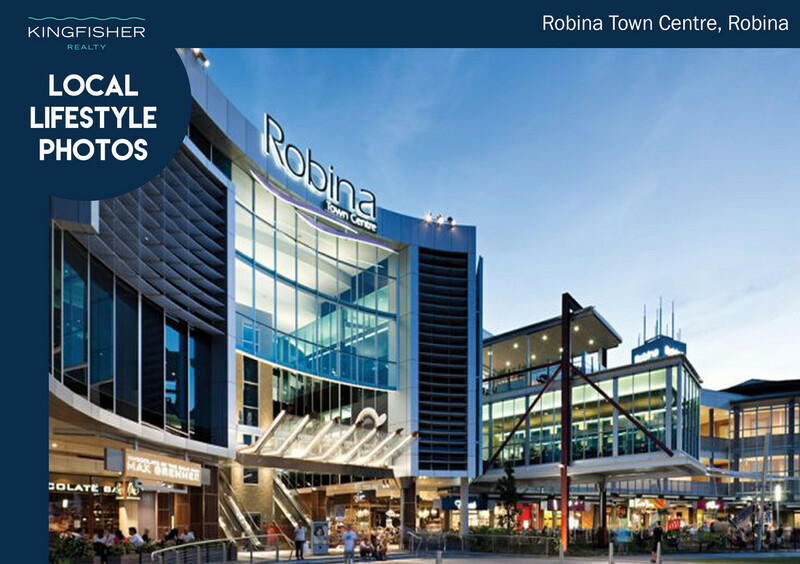 Robina is quickly becoming one of the Gold Coasts fastest growing suburbs. 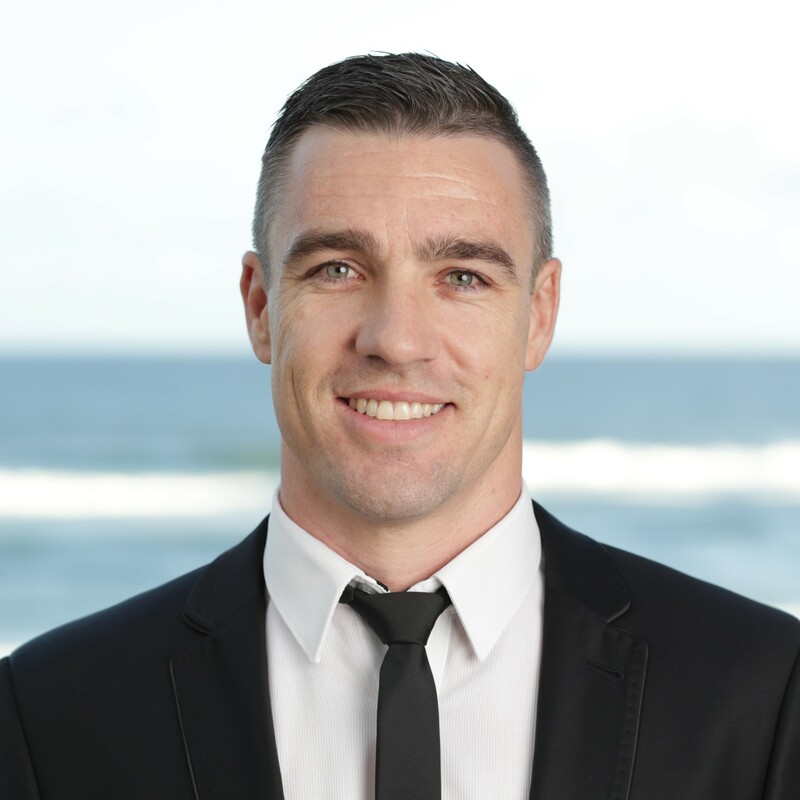 This is great news for anyone purchasing in the area. 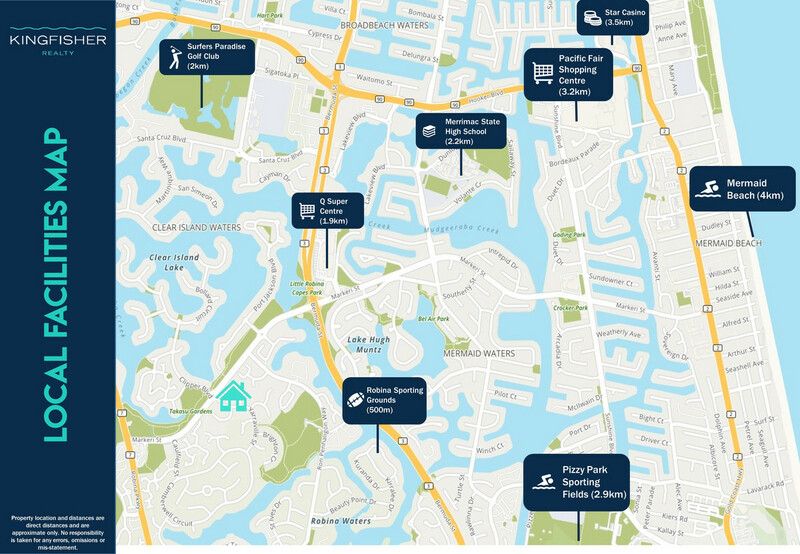 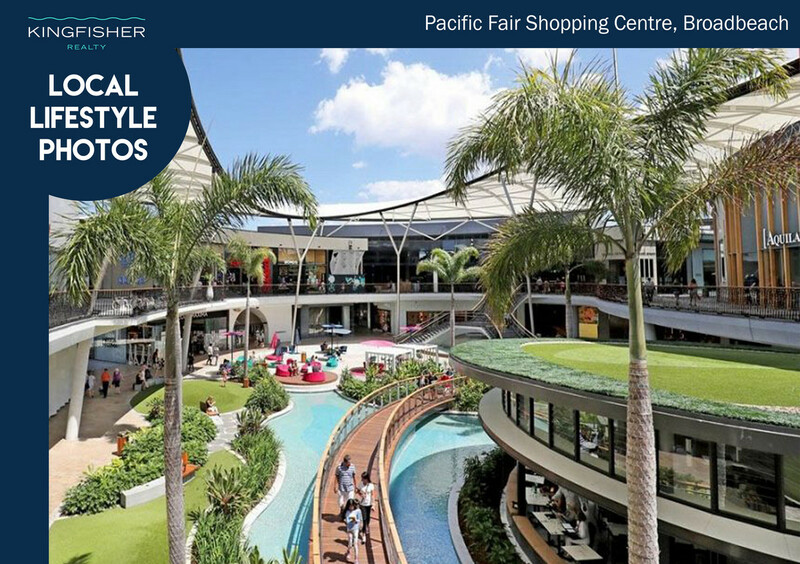 Centrally located and just moments to Robina Town Shopping Centre, Pacific Fair Shopping Centre, Q Super Centre, The Star Casino, Bond University, public transport, local golf courses, Robina Hospital, Cbus Stadium, many fine dining restaurants, cafes and the stunning white sand beaches of the Gold Coast. 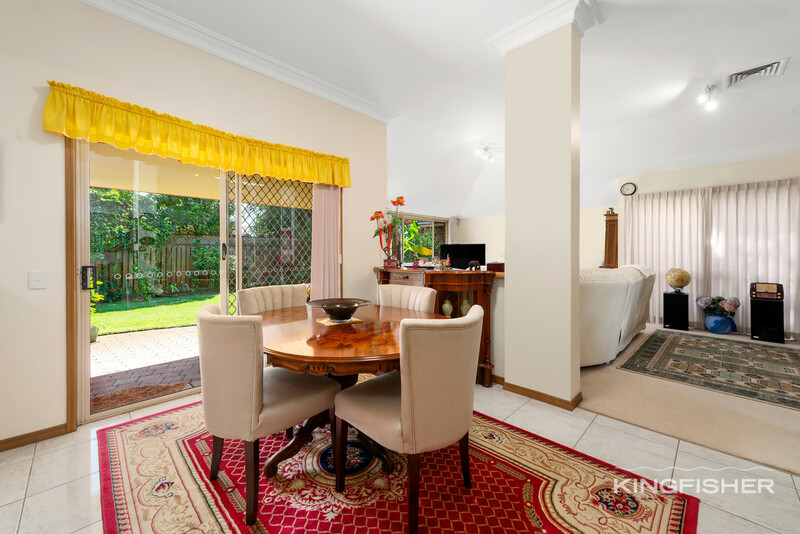 For exclusive inspection times contact Michael now!